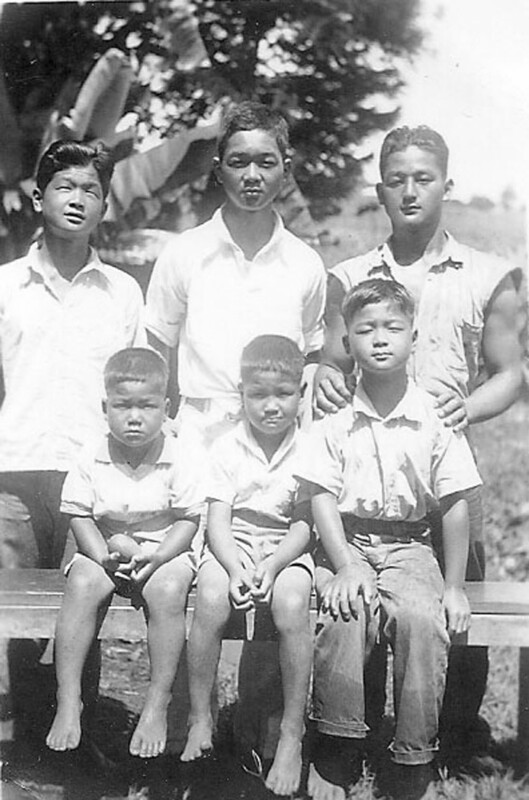 Susumu Yoshioka, born in 1918, was the oldest of six sons born to Bunichi and Chiyono Yoshioka of Papaikou, Hawaii. He was taken out of school at a young age to work in the sugar cane fields as a laborer. According to my father, Norio (4th son), Susumu would leave home before dawn carrying his bento tin and a wire-handled tin can with nail holes and a lit candle inside. He would return home at night and lift weights. His nickname at work was “machine.” He was 5’3”. 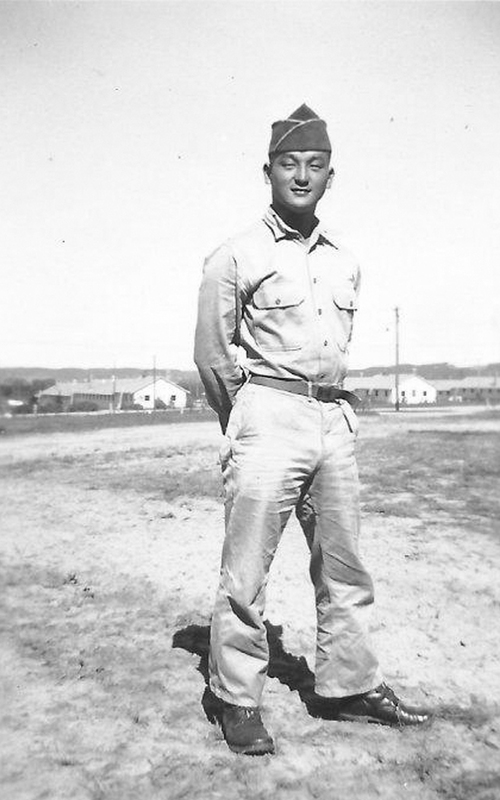 Enlisting on November 12, 1941, Susumu loved talking about World War II. He was in the troop ship that sank off Maui; he hurt his back during this incident. He trained at Camp McCoy and Camp Shelby as part of Echo Company, 100th Infantry Battalion and deployed to North Africa. He would talk about the close calls: relieving himself under a tree and walking back to his foxhole just as an artillery round fell on the puddle he left behind; jumping from foxhole to foxhole and having artillery shells hit the one he was just in. He knew who he could rely on to fight and who would hide. He would tell me how he could see the bullets spinning as they came toward him. When his wife and daughter were not around, he would tell me how the war was the highpoint of his life, how much he enjoyed it and missed it. He was captured in January 1944, probably during the assault on the Gustav Line and was officially registered as a Prisoner of War on the 22nd. He was sent to Stalag VII in Moosburg, Germany. He said the Germans treated him well and he always had enough to eat. Growing up with five brothers and working as a laborer for so many years had trained him well to appreciate what food he had. It was a trait he carried throughout his life. Susumu was liberated on July 25, 1945. 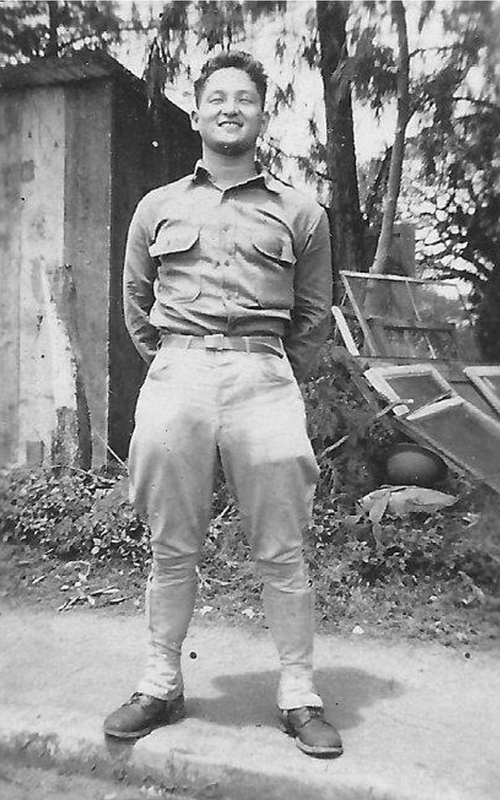 He returned to Hawaii and was discharged from the army. His back injury before he was shipped to Camp McCoy in 1942 was classified as a disability. As a disabled veteran, he was eligible for benefits that landed him a federal job as a shoe and canvas repairer at Pearl Harbor. He officially changed his name to Clay Susumu Yoshioka and was out of the sugar cane fields, living out his civilian life in Palama with his wife, Kathleen, and daughter, Jennifer. In his final days, I would bring him sushi at the VA home next to Tripler Medical Center and he would have tears in his eyes. My father and mother spent three weeks cooking all the foods my uncle wanted to eat a few months before he passed from congestive heart failure in February 2008.